This tract lists special words of solace and encouragement from the Bible for times of loneliness, fear, temptation, and difficulty. 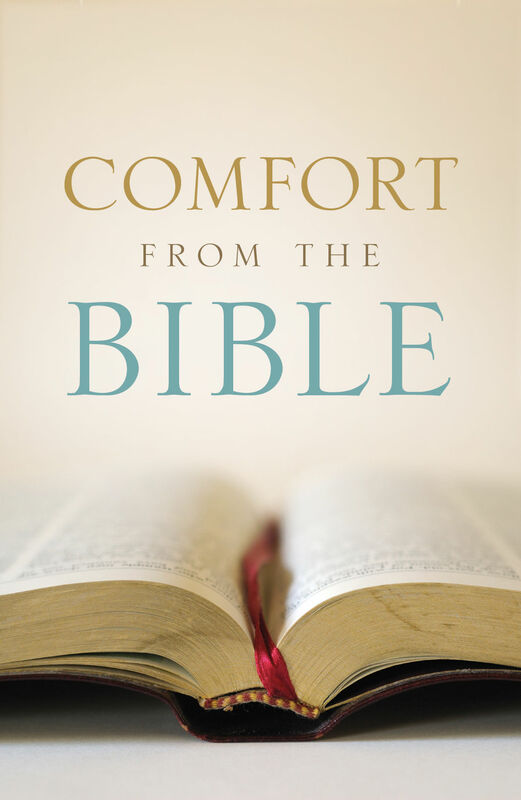 In the Bible God promises comfort to all who put their trust in the Lord Jesus Christ. The Bible tells how you can trust Jesus Christ to be your Savior. Confess that you cannot save yourself, that you are a sinner worthy of God’s righteous judgment. “For the wages of sin is death, but the gift of God is eternal life through Jesus Christ, our Lord.” Romans 6:23. If you have not yet received Jesus Christ as your Savior, we encourage you to do so now in the quietness of your heart. If you do, we invite you to sign your name below with the date as a reminder of your decision. Please contact us for Christian literature to help you get started in your new life with Christ.